I've got to admit, Restoration Hardware is really coming up with some great products. Did you all get their new catalogs in the mail? Seriously how much do they spend on postage? 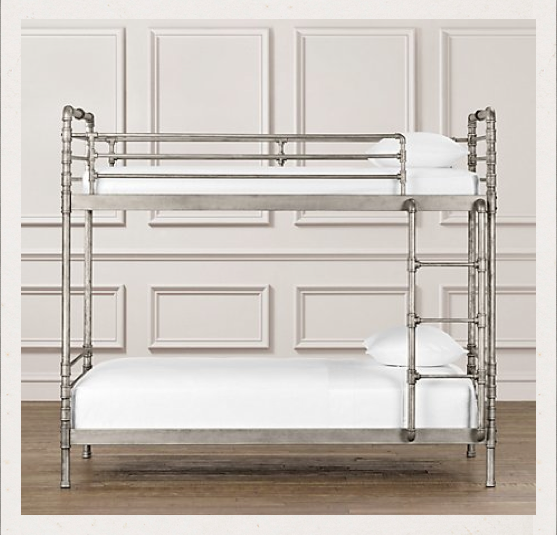 Anyways, they new industrial steel pipe bunk bed is pretty fabulous. 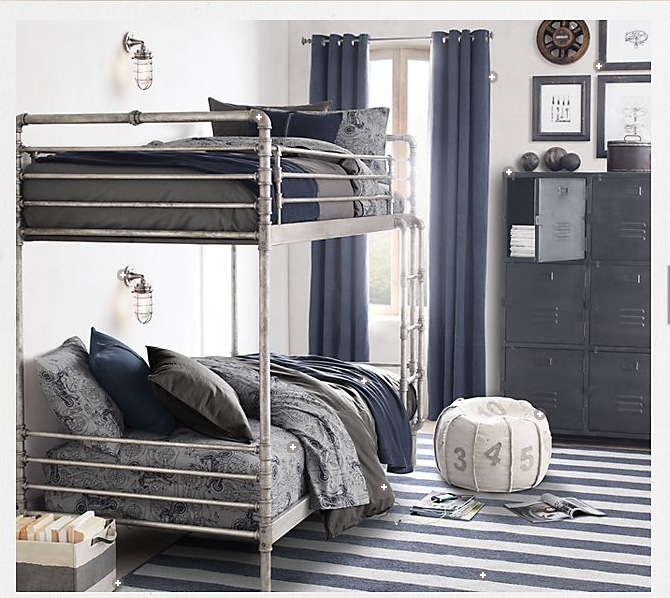 Great if you have a small room and don't want a large wooden bunk taking up visual space. My only concern is do you think it hurts more to hit your head on metal or wood?